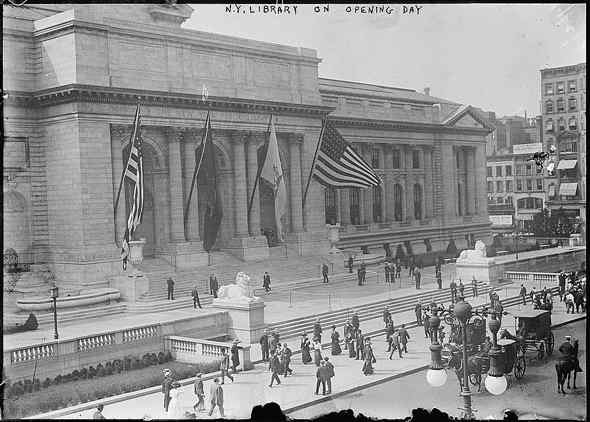 Saw this photograph of the 42nd Street branch of the New York Public Library on Gothamist yesterday. This is where I go to work sometimes. There are other entrances which don’t involve climbing stairs, but I always chose to go in through the front. I love climbing up and walking in through this magnificent entrance.